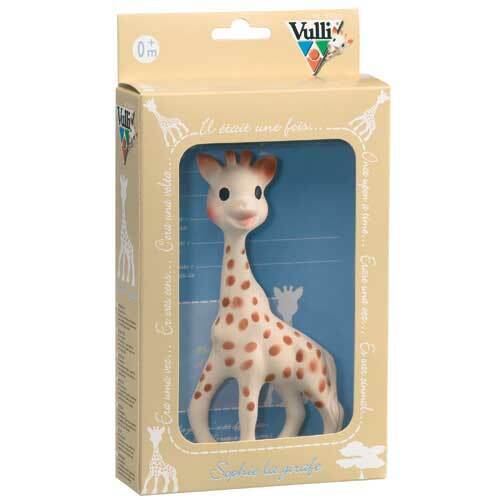 Sophie the Giraffe is one of the most talked about teething toys! Her success is legendary with millions and millions of units sold in Europe and worldwide since her creation in 1961. 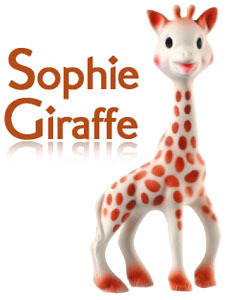 Soft, light and easy to grasp, Sophie La Giraffe is perfect for little hands and makes a happy sound when squeezed. Babies especially love her bumpy head to sooth their teething gums. In today’s fast paced world it is unusual to see a high production toy still made by hand. 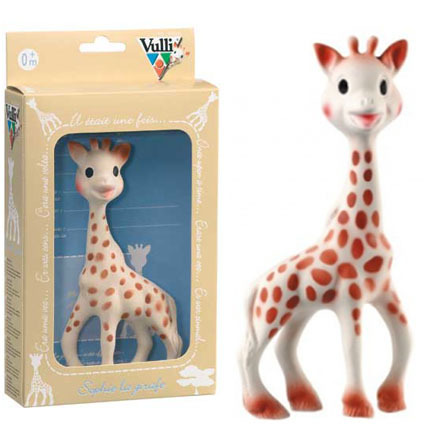 Proudly handmade in the French Alps with the finest rubber (phthalate-free) and food quality paints, Sophie will sure to become a favorite for your favorite baby. To clean, simply wipe with a warm damp cloth. Do not immerse the teether in water. Please note that this is a variation listing with two options: Sophie without original box and Sophie with original box. If you purchase the Sophie with the original box, we send it out in a special format for the most efficient and effective shipping.